The original title I had picked out for this post was Still Flash, But Actually Usable. 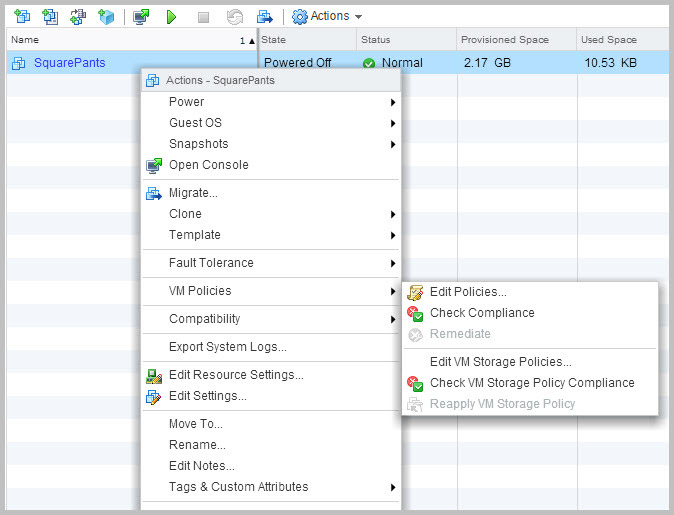 I upgraded the title because the vSphere Web Client in 6.0 is more than just usable – it’s vastly better from a performance and user experience perspective. I know that we all want an HTML5-based client, but I personally would rather have a web client that works today and keep my fingers crossed for an HTML5 version in the future. The layout has received a face lift. 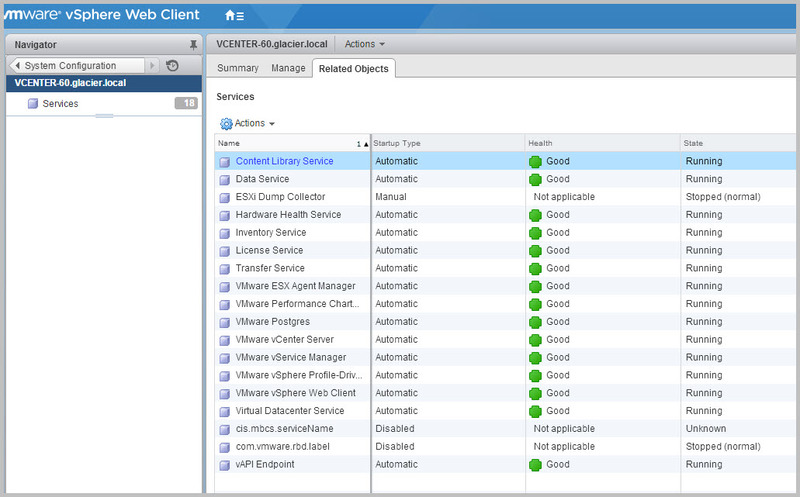 The tasks bar now sits at the bottom, same as the vSphere Client, providing much more real estate for operations. You’ll only see your tasks by default, but can change that option in the bottom left corner. I’ve found that the user experience is peppy right out of the box; no need to tune the web server or fuss around with Java cache sizes in your browser. 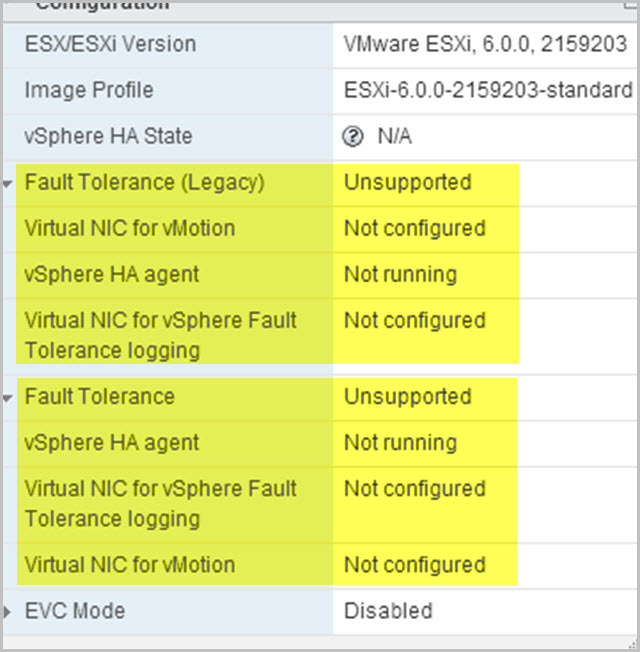 After spending a few months with the vSphere Web Client, I’ve noticed a number of handy updates. The first is around suppressing host SSH warnings directly from interface. Handy! Another improvement is the ability to push alarms and the work in progress panels into the side. They become expandable boxes that pop out when you hover over them. The title also keeps a count of active alarms or tasks. Great for smaller screens or RDP sessions. I’m also a fan of being able to see much more granular detail when it comes to vCenter services, their health, and operating state. This is found in the Administration > Deployment > System Configuration section. You can also start, stop, restart, or edit the service startup type (automatic, manual, or disabled). 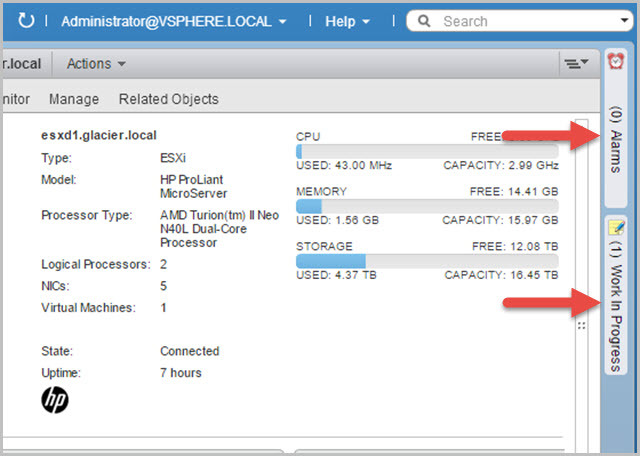 Here’s an example from my vSphere 6 Web Client showing sorts for all of the columns. I’ve used Virtual Machines as an example. Notice that Used Space is sorting in descending order. I’ve also opened the contextual menu so you can see the Size All Columns to Fit feature (awesome). 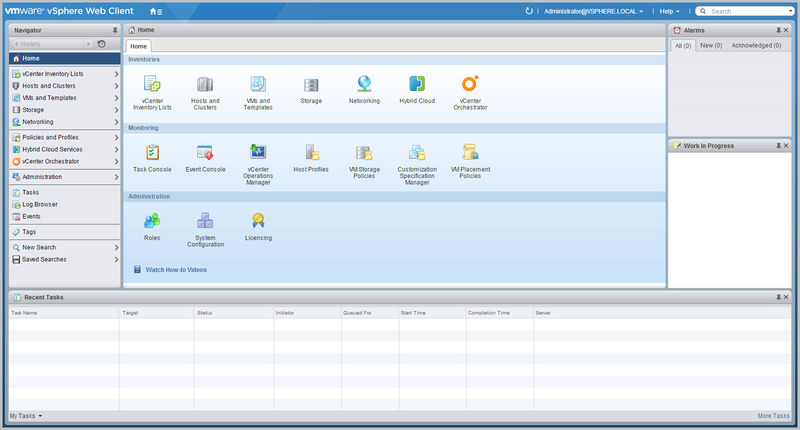 One of the slowest parts of the vSphere Web Client has been the menus. They took forever and a day to build while you watched the little whirly ball of sadness. The new release includes very fast and flat menus, starting with a little home launcher that replaced the old “home” button of old. Additionally, the menus that appear when you right click on objects launches immediately. I’m able to find just about anything I need within the first two levels of the menu. There’s also more data displayed on objects, such as seeing how both the 5.x and 6.x Fault Tolerance configuration looks from a host summary page. 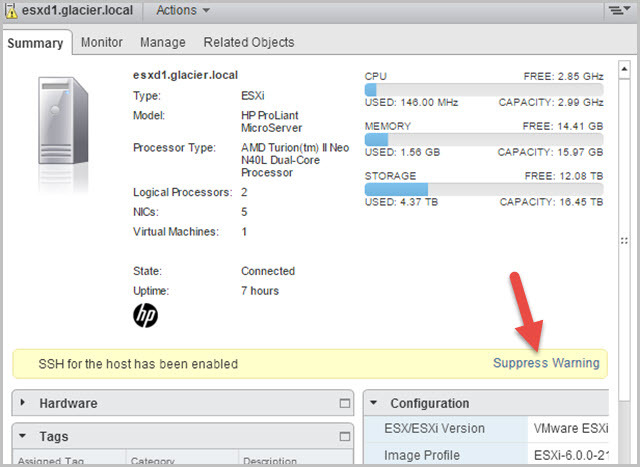 The end result is a vSphere Web Client that actually works and isn’t a complete nightmare to have to use. 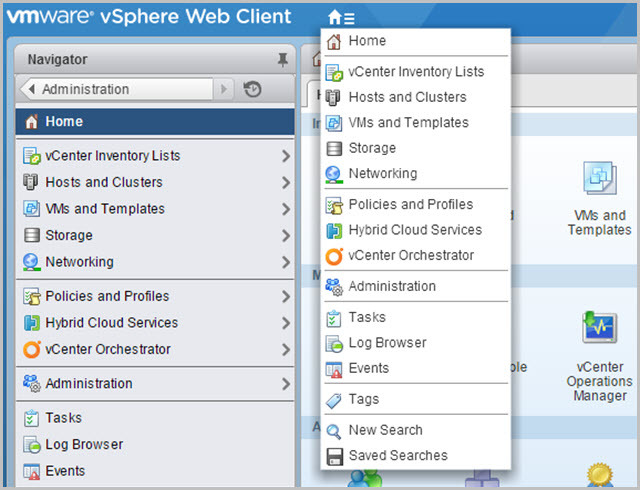 I didn’t find myself opening up the vSphere Client and vSphere Web Client like I usually do with 5.5. I still found the beta version of the vSphere Web Client had a few quirks and required a refresh occasionally to resolve cryptic load errors. And it is still missing full VUM integration. Perhaps items we’ll see resolved in the next update? Nice post glad to hear some people slightly happy with the Web Client :). By the way suppressing SSH warnings GUI was there in 5.5 Web Client as well. @neilbryan – Hah, goes to show how much time I spent in the 5.5. Web Client 😛 … Thanks! One challenges of using the web interface compared to the C# client (at least for myself) has been the inability to sort by any of the columns. 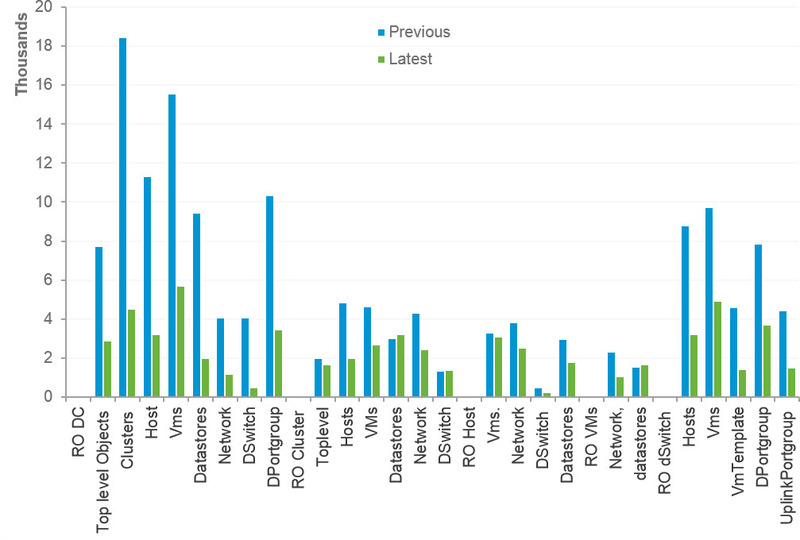 For example, when listing 200 vms, what vms are using the most CPU or the most RAM, etc… Has that been added to 6? @John Lauro – I cracked open the Web Client and tried it out. Looks like all of the sort features are in the build. I’ve added a screenshot to middle of this post showing sorting. @Chris, That is great news, assuming it’s all columns now. That said, size all columns to fit and sort by used space worked before… It’s sorting by CPU usage and memory that are lacking in 5.5…. Has the “expanding tree” that’s usually in the left-hand pane been fixed? @Jim Millard – The navigator (tree) on the left side will still collapse VMs into “(##) Virtual Machines” at a certain value. During the beta it was recommend to us that we use IE instead of Firefox/Chrome for 2x faster rendering. I tried them out and sure enough, IE is WAY faster at rendering the Webclient pages as compared to the other two. Have they fixed the client integration plugin and remote console view issues with IE?